Last month when there were just 100 bottles of Pretty Serious Naughty Night Shift Nurse up for sale, I was pretty disappointed when I missed out on purchasing one. But last week when I had another little catchup with some nail polish addicts from Canberra, the awesome @LilyandJinks lent me her bottle so I could kill my lemming. I wanted to be sparing with the bottle, so I chose to layer two thin coats over black, rather than trying to build opacity on it's own. 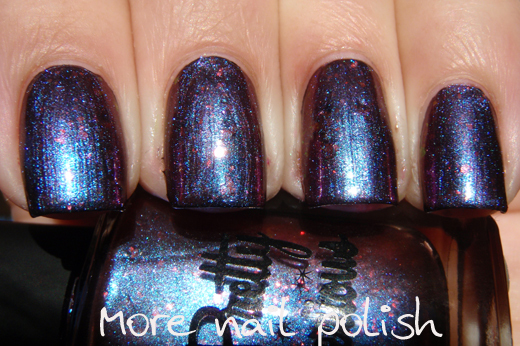 It would need three coats on it's own, and wearing it over black makes the duochrome shift pop more. 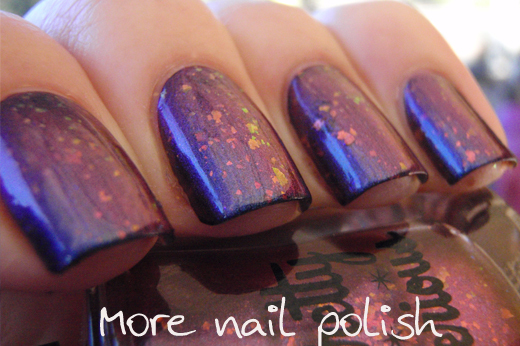 The duochrome shift in NNSN is purple to a dusty red but it also has a blue shimmer as well as red to orange shifting flakies. 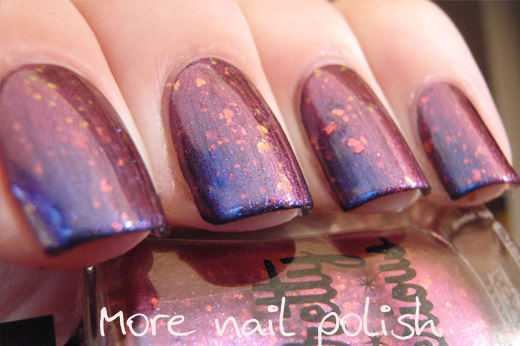 I've gone through my extensive collection of duo and mulitchromes and I've not found a polish with this same colour shift and shimmer combo. 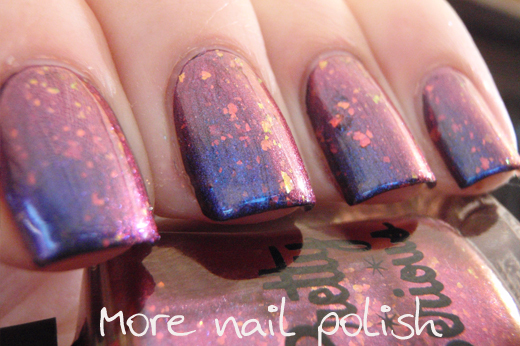 The closest would be Ozotic 521 but with an added blue shimmer and the flakies. The Pretty Serious blog said there will be another release of Naughty Night Shift Nurse sometime this month. If you want a bottle you will need to be ready to snag it and check out in less than 30 seconds. Will I be there? Yes (work meetings permitting! 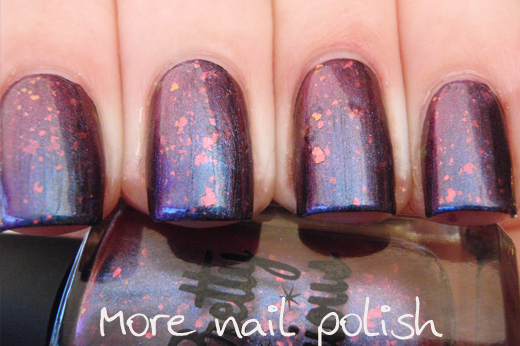 ), but probably trying to snag a bottle of the rumored partner polish - Dirty Day Shift Doctor. I think my lemming for NNSN is killed. Thank you so much again @LinkandJinks for lending me the precious! I'm glad you got a chance to swatch this one - you always do a great job :-)! I thought it was amazing at the first release and it still is! 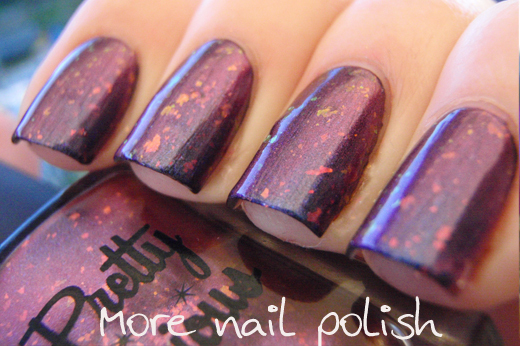 Now I've got to check out the partner polish! Wow ! 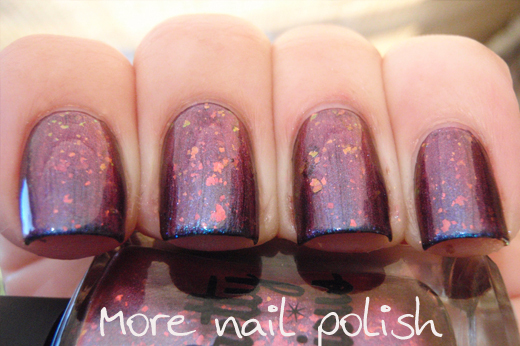 i love this polish !! 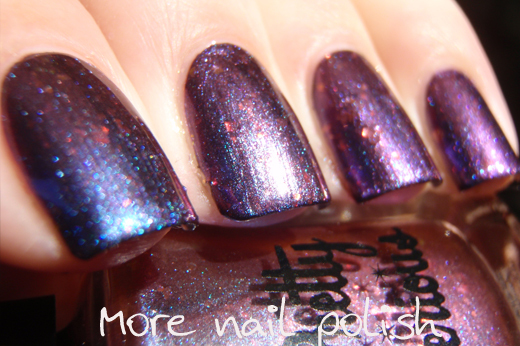 Purple, duochrome, flakies, shimmer... all in ONE polish! Amazing!! 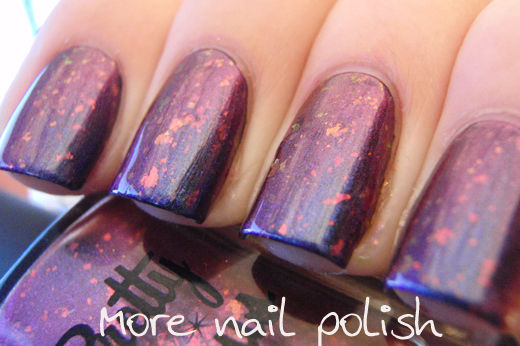 I've never seen a duochrome with flakies, I'm in love! pfft - I'd convinced myself I wouldn't need this, but now I think I do! It won't be easy to get in the UK, lol! 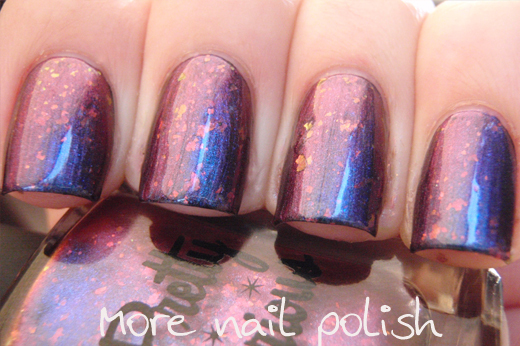 I might have a try at recreating this look with W7 Metallic Venus and Nfu.oh 51 and some of my Ozotics...........or something! I've tried to get this one too. It looks very pretty!